New category of Yasnaya Polyana Literary Award will be the first to honor a foreign book translated into Russian. The 13th annual Yasnaya Polyana literature competition opened on March 5 in Moscow with the announcement of a new category - best foreign book translated into Russian. 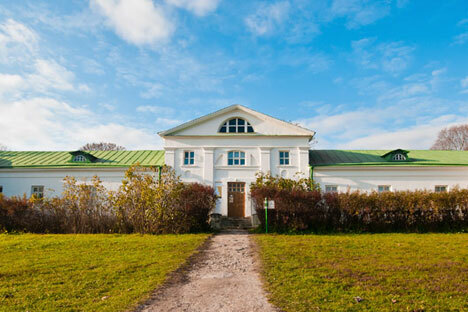 The competition, established in 2003 by the Tolstoy Estate and Museum at Yasnaya Polyana and Samsung Electronics, recognizes works that preserve the traditions of classic literature and also represent relevant trends in modern Russian writing. From 2003-2011, awards were given in two categories: “Contemporary Classic,” which recognizes established modern authors; and “21st Century,” which goes to a book written after the year 2000. In 2012, the “Childhood, Boyhood, Youth” category, named after Leo Tolstoy’s famous autobiographical trilogy, was added. It honors books important for children. Now, a fourth category will honor a foreign book translated into Russian that exemplifies the spirit of the award. "The Yasnaya Polyana award has been a trendsetter in Russian literature for a long time already. Now we decided to take on foreign literature and be a trendsetter there too. It’s quite an ambitious plan," said literature critic Lev Danilkin, who specializes in foreign literature. Nominations for the Yasnaya Polyana Literary Award will be accepted for several months and the awards made in October. Samsung increased the amount of prize money available this year from 2.1 million rubles ($35,000) to 7 million ($115,000). The winner of the “Contemporary Classic” award will receive 1.5 million rubles ($25,000); the winner of the “21st Century” award will receive 2 million ($32,900), and the finalists will shared 1 million each ($16,500); the winner of the “Childhood, Boyhood, Youth” award will receive 500,000 rubles ($8,200) and 300,000 rubles ($5,000) will be split among those on the short list. For the translation prize, 1 million rubles will go to the author of the book and 200,000 rubles ($3,300) to the translator. An additional category promoted by Samsung, “Readers’ Choice” will recognize the book that receives the highest number of votes from readers on the Internet. The author of the winning book will receive a literature-themed trip to South Korea, where he or she will take part in a number of meetings for the promotion of Russian literature and language abroad. "In such a situation when everyone has to save money, this raising of the prize fund is not an ordinary event," said Vladimir Tolstoy, a great-great-grandson of Leo Tolstoy and the director of the Yasnaya Polyana museum. "It's not random that this year was announced as the Year of Literature in Russia, I've just been in Rostov-on-Don and I saw that for some people the year is a real happiness." To mark the Year of Literature in Russia, Samsung Electronics has also introduced a new interactive mobile application for reading called “Zhivaya Kniga” (Living Book), which is currently available only in Russian.